Home Special Features Guest Commentary Trump Tax In Hawaii? One of the more visible tax issues that our lawmakers will be thinking about this session is how to adapt the new federal tax law changes, sometimes called the Tax Cuts and Jobs Act and what we have been calling Trump Tax, to Hawaii. Each year, our Department of Taxation is required to consider the federal tax changes that have taken effect during the prior year, and then present a bill to the legislature containing its recommendations on conforming the state tax law to the federal code. Why do we conform to the federal code in the first place? “It is the intent of this chapter,” our income tax law says, “in addition to the essential purpose of raising revenue, to conform the income tax law of the State as closely as may be with the Internal Revenue Code in order to simplify the filing of returns and minimize the taxpayer’s burdens in complying with the income tax law.” This language was enacted in 1957 and has stayed the same for the last sixty years. You like the mortgage interest deduction and you don’t want to see it go away? It won’t. 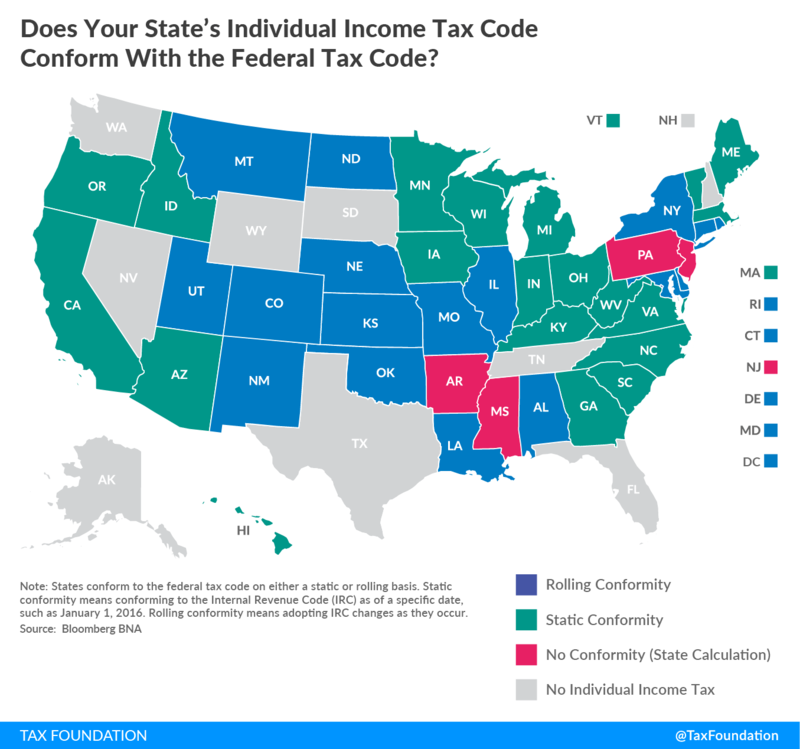 Perturbed by limits on the deduction for state and local taxes? Don’t be, because we won’t adopt the limit. You like your miscellaneous itemized deductions? You can still take them! The only small difference is that you can take them for Hawaii income tax only. Is this what we want to do? Turn back the clock sixty years? You might remember the Tax Reform Act of 1986, which, like Trump Tax, took away many special deductions in favor of a simpler, broader tax calculation with a lower rate. In 1987, Hawaii faced the same choice. To conform or not to conform, that was the question. But instead of turning our back on conformity, we embraced it. We adopted the Tax Reform Act changes and dropped our individual tax rates. As a result, most of us are spared the pain of doing tax calculations a second time for state-specific issues and of keeping the records and audit trails necessary to support the numbers that we put into those tax calculations.